Home Page: ordering info.,policies (satisfaction guaranteed, etc. ), e-mail, etc. 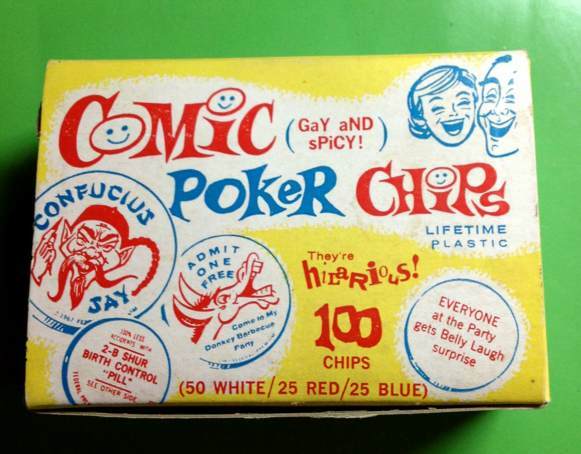 The "Comic Poker Chips" were made by Federal Premium Mfg Co, Chicago ILL 60645, copyright 1967. The box calls them "hilarious." 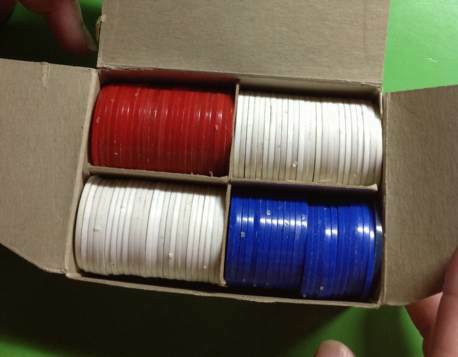 These chips were sold in boxes (4" x 3" x 1.5") of 100 chips (50 white, 25 red, 25 blue), but the chips were thrown in in a random manner so most boxes of 100 chips did NOT have all 20 different chip designs. However, rest assured, the boxes of chips I sell have at least one chip of each of the 20 different chip designs. Each chip is plastic and 1-3/8" diameter. ¶ the other 5 chips are seen in the picture below with the yellow background. Both sides of each chip are shown side by side, possibly in different color chips. 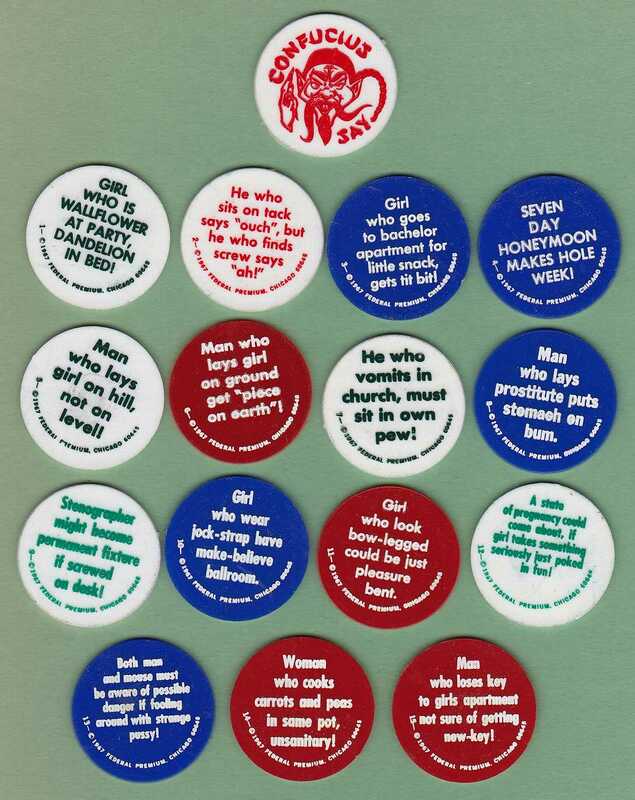 I could sell a complete set of the 20 different Comic chips for $45.00 delivered! I could also sell about 50 Comic chips (including a complete set of the 20 different chips) in the original box (in OK used condition) for $80 delivered.